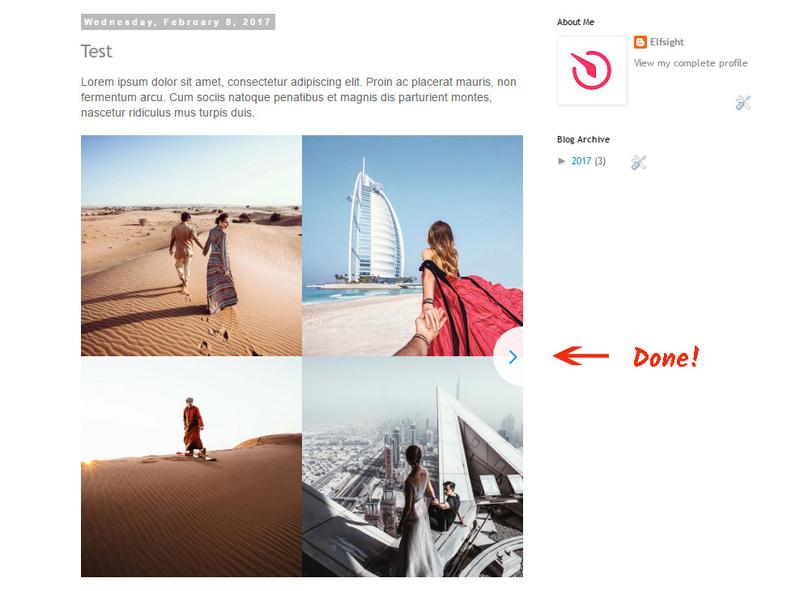 In this editorial we will give the complete tutorial on how to display Instagram widget InstaShow on a Blogger site. We will show how to make use of a product by Elfsight Apps – high-end cloud service with ready-made gadgets for websites. 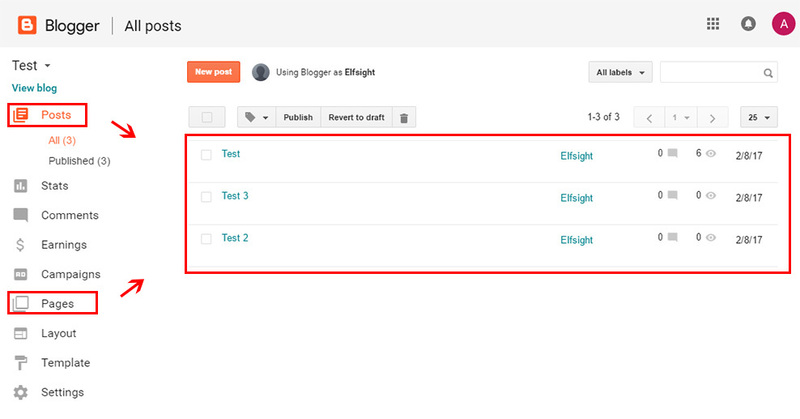 Perform several clear procedures to show the widget on the required page of your website. The estimated install duration is below 2 minutes. First, to get access to our platform, you should set up a profile. Give us only true electronic mail addresses and passwords to register. If you already have an account, please, authorize here. Our online service grants a number of widgets for online businesses. To set Instagram widget to a Blogger website, you should click InstaShow. Decide on the color schemes, styles and UI parameters to specify the widget that will be most fitting your website. You can check all the characteristics at the Instagram Feed page. You’ll be able to select the subscription plan in the table that opens up. 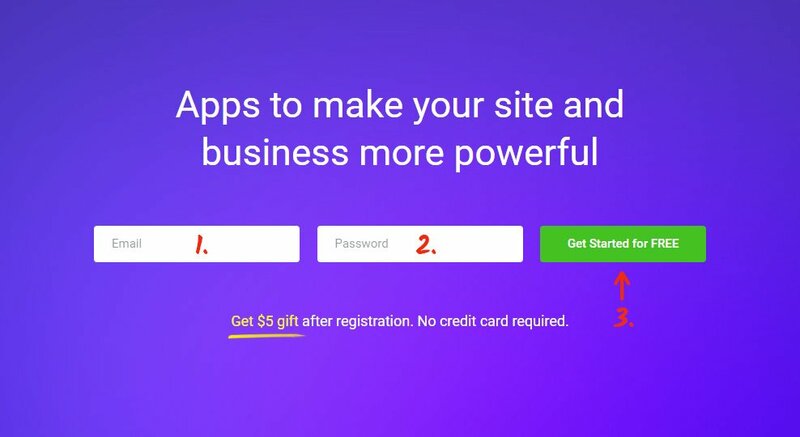 Subscriptions range from Free to Enterprise. Check the traffic of page and click the “Select” button. The last action in our service is to acquire the feed code by clicking on “Get” tab next to the widget’s name. 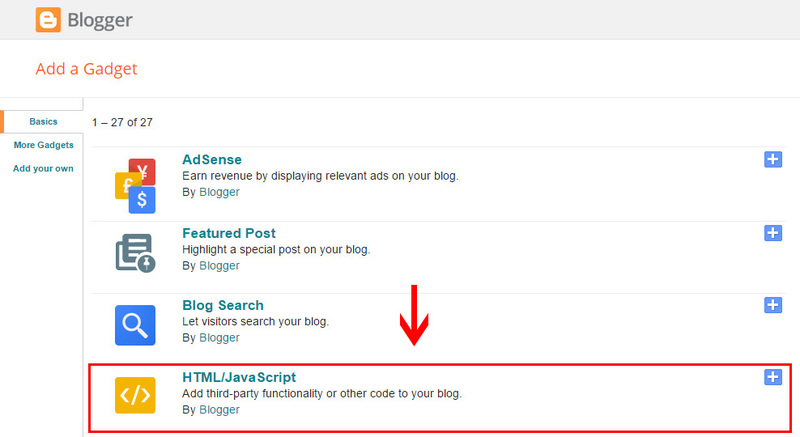 Log into Blogger and select a page to embed the gadget to. Go to the page you want to edit and switch to HTML view. Add the plugin code and press “Update” to save the result. You’ve successfully installed Instagram feed on your Blogger website. Log into Blogger and go to «Layout». Select the template element to display the plugin in, and press «Add a Gadget» above this block. 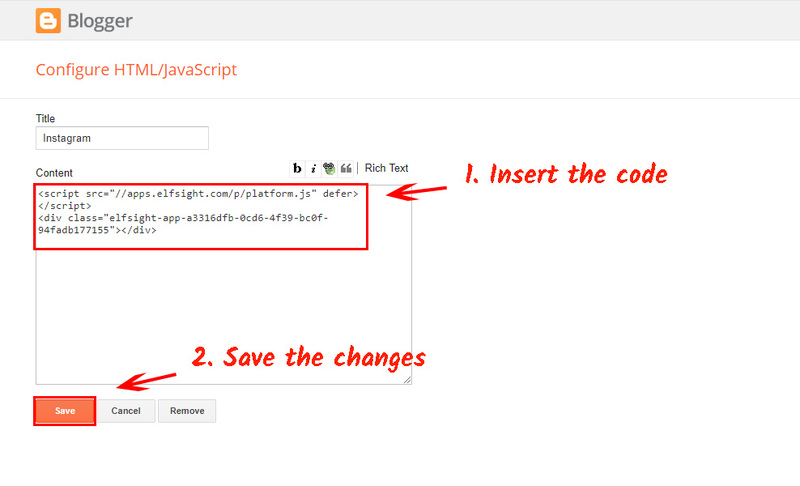 Copy the plugin script and save the changes by pressing «Save». 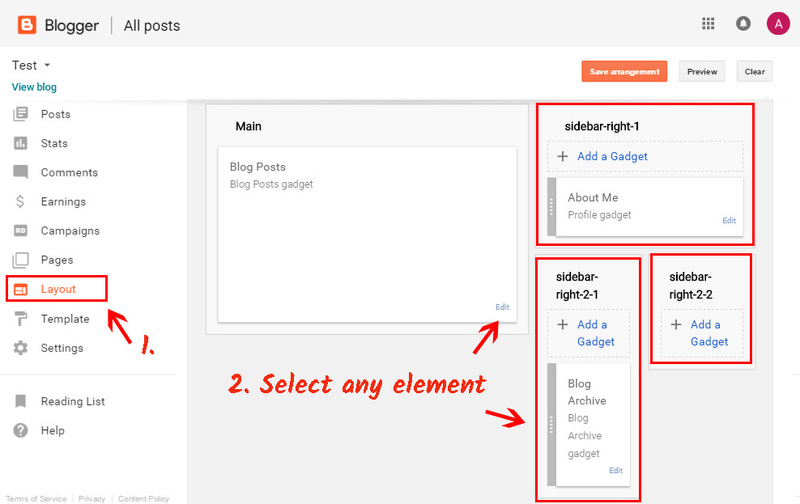 This method allows you to place the plugin not only inside the pages, but also in any element of the site. 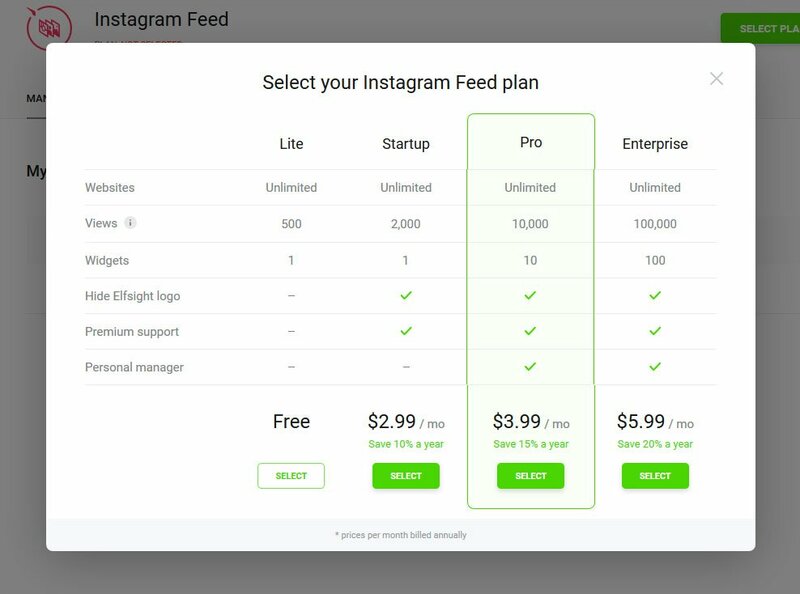 You have the opportunity to alter the app’s settings or the displayed Instagram profile in your account at Elfsight Apps. After you implement the corrections, they will be automatically installed in your gallery. InstaShow is a powerful Instagram visual gallery with a multiple choice of parameters, content adjustment, wholly flexible appearance and an instant embedding, which makes our widget one of the finest among the other apps. It is an online service with cloud solutions that will help you change your page and make your enterprise more profitable. It only takes a few actions to display our solutions on any website. Make your web page wiser with Elfsight Apps! 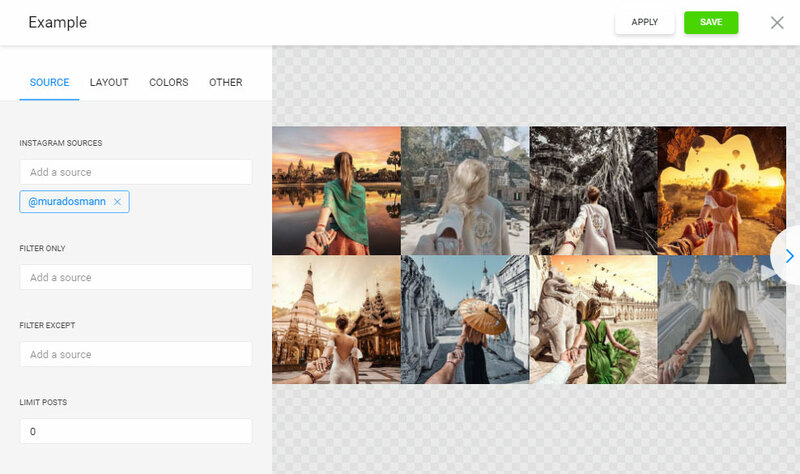 Construct an awesome Instagram gallery for your own site for free today!